Click HERE for operators manual on Model GS-2669RT. Click HERE for more information on GS-2669 RT. 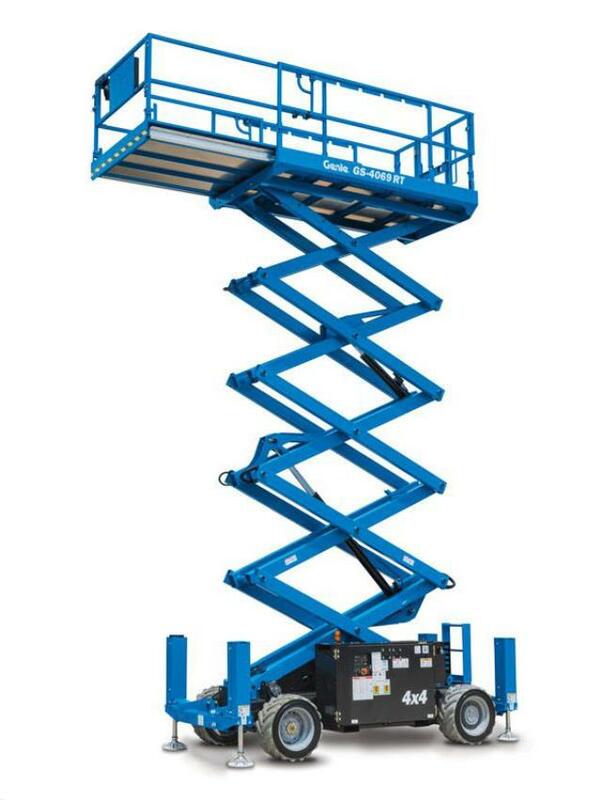 The Genie GS -2669 RT rough terrain scissor lift is a tough, construction-oriented four-wheel drive machine with positive traction control, which can increase operator productivity on demanding outdoor worksites. * Please call us with any questions about our manlift scissor 26 foot rt diesel rentals in Bellevue WA, North Bend WA, Renton WA, and the Seattle Metro Area.